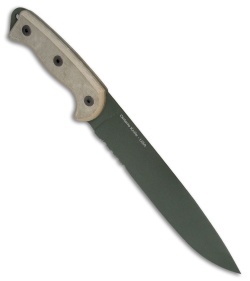 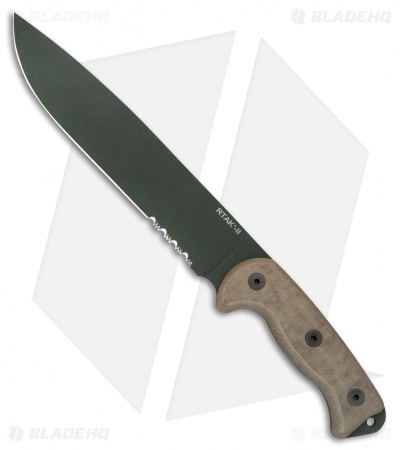 The RTAK-II has a 10-1/2 inch blade made from 5160 steel with a foliage green texture powder coat. 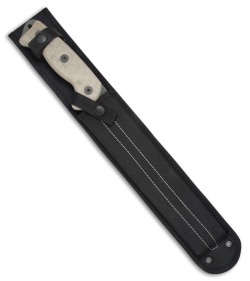 The handle has thick natural canvas Micarta scales. Comes standard with MOLLE compatible black nylon sheath with edge protecting hard plastic insert and roomy utility pouch.